Dishwasher services are no hassle when you bring your concerns to us. That’s if you need dishwasher repair in El Cajon, California. Or if you like to install, troubleshoot, or maintain your kitchen appliance. 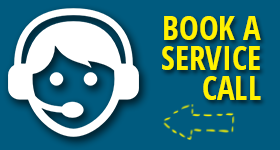 Every time you need service, we go all out to assist in a timely manner. Expect same day repairs from our company and always well-trained and licensed technicians for the job. Your dishwasher is in the best hands when you turn to CT Appliance Repair El Cajon. It’s not easy figuring out why the dishwasher is not starting. Is it? And that’s why the techs start their job with dishwasher troubleshooting. By utilizing decades of field experience and the best available equipment, they can identify the problematic parts of the kitchen appliance in an accurate way. That’s of the essence in order for the appliance to be fixed correctly. And this is also the meaning of hiring a professional dishwasher technician for the job. We only send the best El Cajon appliance techs to your dishwasher repair. The differences between dishwashers made of various brands make even simple problems seem hard. Well-versed in fixing all models out there, the pros can tackle all problems with all appliances. With their service vehicles always equipped, they just reach out to get the spares they need and replace the broken dishwasher parts on the spot. With the assistance of our company, appliance repair El Cajon CA services are done with precision. If you have dealt with leaking dishwashers for long, perhaps you are considering getting a new appliance. In this case, contact us for dishwasher installation. It’s crucial that your new unit is installed by the book in order to work free of troubles. Just like we would do for any repair service, we will send you an expert to set the new appliance and make the adjustments needed for safe and trouble-free operation. If you have been underestimating the value of dishwasher maintenance, you might reconsider when you come across the first problems. Most of them can be avoided with regular services. And that’s one more time our company can help. Just say the word and a tech will come out the day and hour of your convenience to routinely service the appliance. Want a quote? 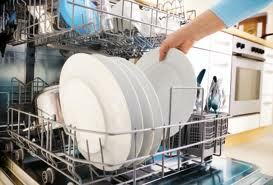 Seeking a pro for dishwasher repair El Cajon service? Call us.